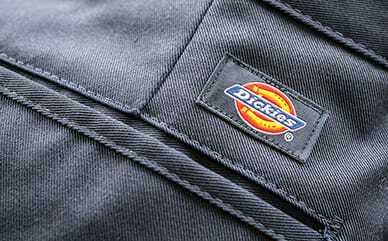 Dickies’ Toddler Denim Bib Overall lets your little hard worker look just as tough as you are. Designed to not take any gruff, these denim overalls feature a high-back style that keeps them comfortably secured to him, protecting your little one from getting dirty or scarped up. The bib pocket has a pencil division and watch pocket, mimicking the look of daddy’s bib overalls, and giving them a place to keep some of their necessities for the day.